Despite my Japanese heritage, I’ve always shied away from cooking Japanese food. The subtle, complex flavors intimidated me. Creating the right taste seemed impossible. But it’s not that difficult at all. I began to enjoy cooking once I found the key to making Japanese food taste great. Would you like to know the secret? You’ll find a beautiful combination of seasonings in each Japanese dish. They work hard to enhance the ingredient’s natural flavors. That’s the thing about Japanese seasonings. They bring out the best of what’s already there… but they don’t overpower the flavors. In this article, you’ll discover the ten seasonings you should have in your pantry. They really bring out the flavor in your food. You can start cooking the Japanese meals you know and love. It’s easier than you think. Learning how to use these seasonings will really take you a long way. 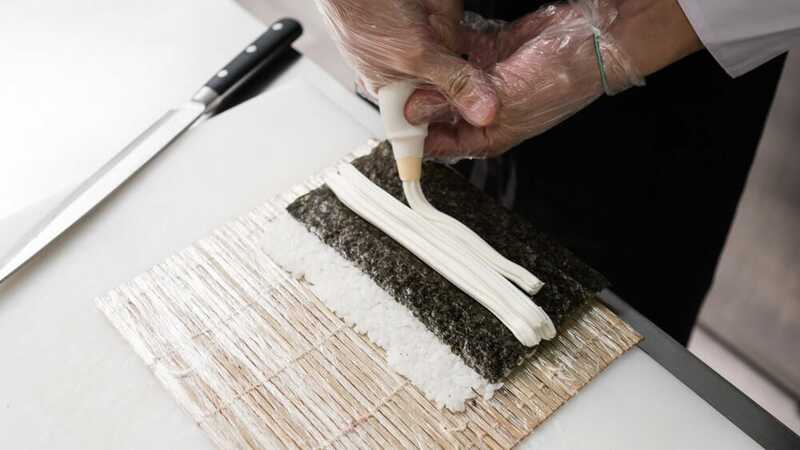 What Makes Japanese Food so Delicious? What would we do without soy sauce? 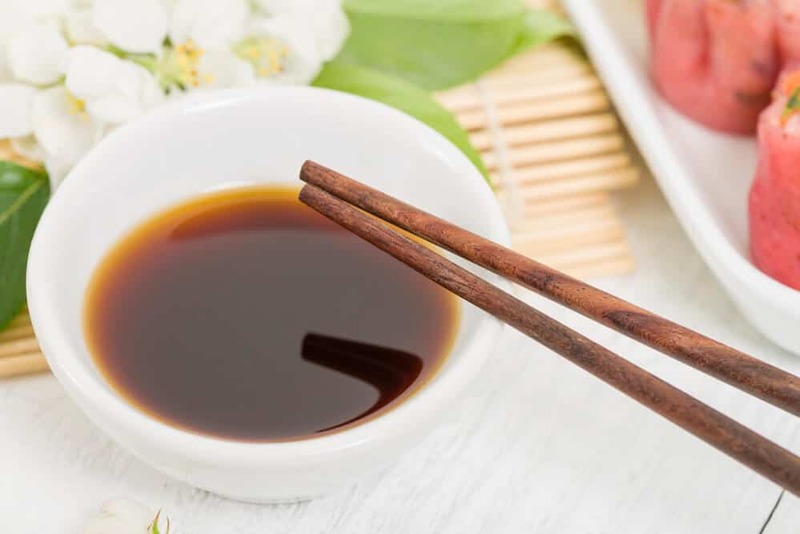 Soy sauce is an essential part of Japanese cuisine. It’s hard to find a dish that doesn’t call for it. Japanese soy sauce (shoyu) gets made by fermenting a mixture of four basic ingredients. These ingredients include soybeans, wheat, salt, and water. You can buy 5 main types of Japanese soy sauce. You won’t need to worry about three of them until you really get into Japanese cooking. Starting out, you only need to know about the two most commonly used sauces. Koikuchi soy sauce comes from the Kanto region (the area around Tokyo). It spread to the rest of the country and is now considered the “standard” soy sauce. It’s made of soybeans and wheat. The two get mixed together evenly. The combination gives you a dark color and a rich taste. Most Japanese households use koikuchi for all their cooking needs. If a recipe calls for soy sauce but doesn’t tell you what type, it usually means koikuchi. There’s a lot of different brands, but the Japanese Kikkoman shoyu is a great choice for the price. Usukuchi soy sauce comes from the Kansai region. It’s also made from soybeans and wheat, but mirin (sweet rice wine) gets added as well. It’s a bit sweeter than koikuchi. It’s also lighter in color. You use usukuchi when you want to avoid turning your ingredients darker. If you need to use a usukuchi soy sauce, the Kikkoman usukuchi soy sauce works well with most dishes. 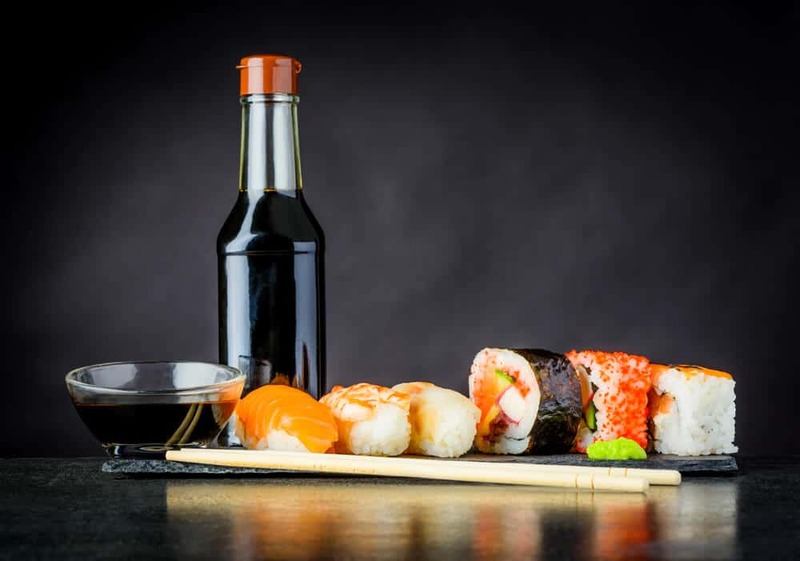 Different soy sauces give the same dish a different look and taste. You can see this clearly with udon soup. Udon soup looks and tastes different in Kanto and Kansai. The difference comes from the type of soy sauce used. Kanto-style udon has a very dark color. It uses koikuchi soy sauce. Udon from Kansai looks much lighter. It gets made with usukuchi. *Note: Usukuchi soy sauce, though lighter in color, is actually saltier. 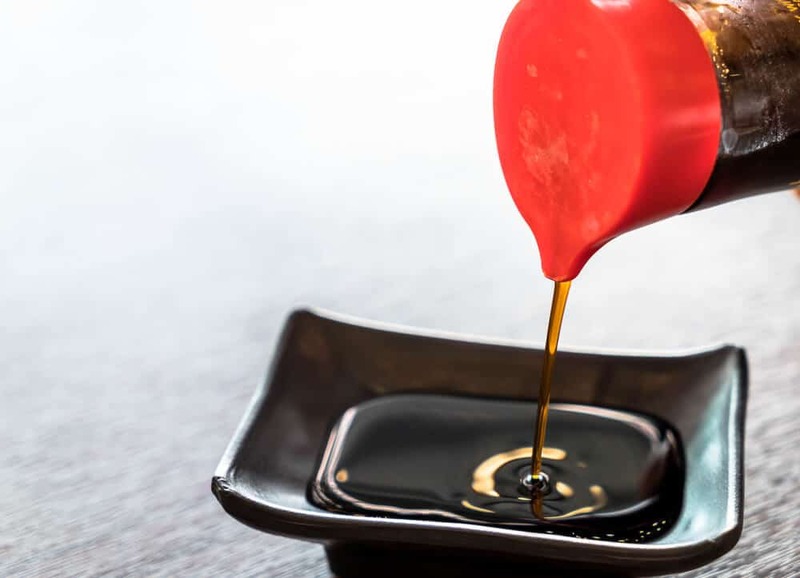 If you want to know more about shoyu, check out our complete guide to Japanese soy sauce. Soy sauce also works great as a dipping sauce. It tastes delicious with sushi, sashimi, gyoza, mochi, etc. Miso is another essential Japanese seasoning. The tasty condiment has steadily gained popularity around the world. It offers fantastic nutritional benefits. The thick paste is high in protein. It’s also rich in vitamins and minerals. 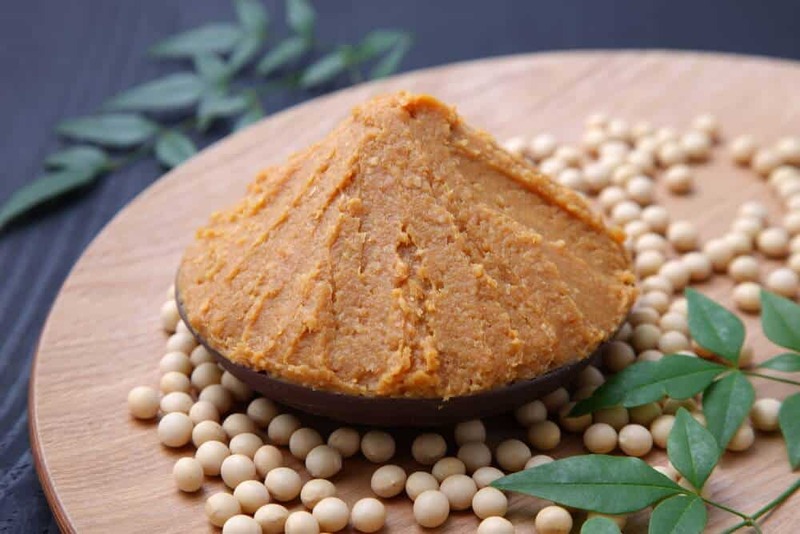 Miso gets made from soybeans, salt, and water. A fermenting agent (koji), and some type of grain (like rice or barley) also get added. Miso is categorized by color. The darker the color, the longer the miso has aged… and the more intense the flavor. Akamiso is quite popular in the Kanto region. It’s often aged for a year or more. The aging gives the miso a dark, reddish-brown color – hence the name. Akamiso gives you a strong, salty flavor. The flavor comes from the long fermentation process. 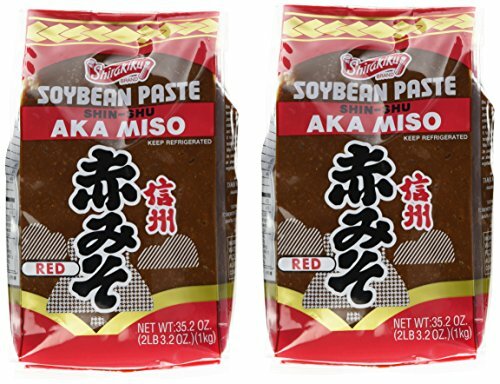 The Shirakiku red aka miso from Japan is a good product to use for Japanese dishes. Shiromiso is a Kansai region favorite. It’s often a yellow-brown to medium brown color. It’s lighter in color and tastes sweeter because of the shorter fermentation period. Shiromiso generally has a milder flavor than akamiso. It’s the standard miso for cooking. It gives you a milder, more versatile taste. 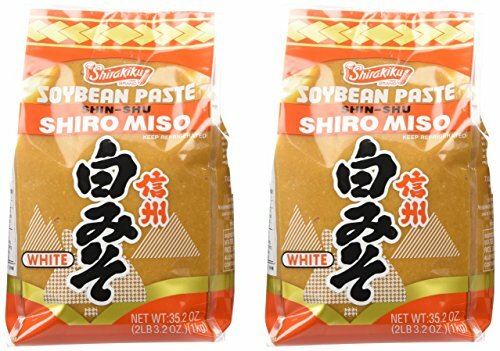 A good white miso is the Shirakiku shiro miso which can be bought on Amazon. Dashi is a soup and cooking stock used in many traditional recipes. It adds a delicate seasoning to a variety of dishes. The subtle, mild taste really brings out the flavors of the other ingredients. Dashi gets made by boiling kombu (kelp) and bonito flakes in water. The boiling brings out the umami – one of the five basic Japanese tastes. The soup then gets strained. Dashi sometimes gets made with dried sardines or dried shiitake mushrooms. Don’t let the word “sardines” scare you. 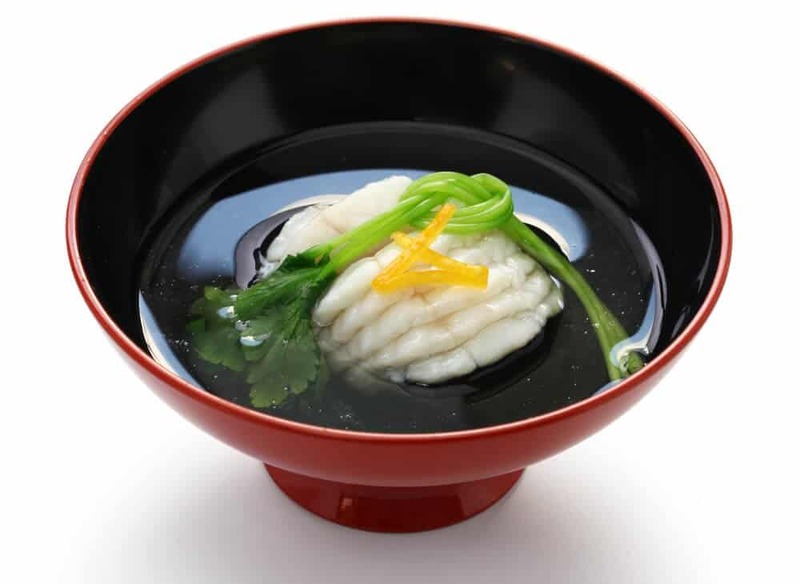 Even when dashi is made with fish, it doesn’t taste very fishy. It’s not hard to make your own dashi at home. Even so, many Japanese people choose to use “dashi packets” or instant dashi powder. I personally use Kayanoya Dashi. You can buy it in packets on Amazon.com. It doesn’t contain any MSG (unlike some other instant dashi powders). My Japanese mother claims it’s as good as homemade dashi. After using it for about a year now, I’m inclined to agree! 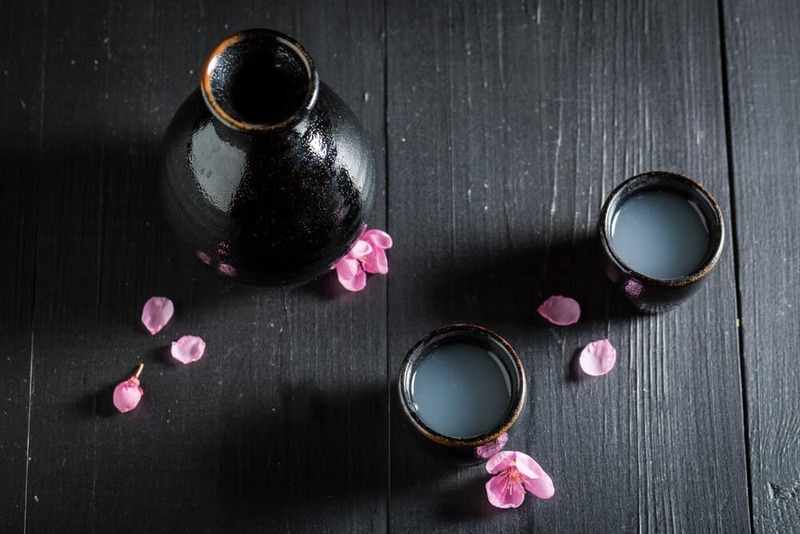 Sake is known around the world as an alcoholic beverage… but did you know it’s also a must-have ingredient for all kinds of dishes? It’s almost as prevalent as soy sauce in Japanese recipes. You often hear people call sake “rice wine,” but it’s actually brewed, like beer. Sake works well when you want to take away unwanted smells (like fish or meat). It adds umami and a naturally sweet flavor to any dish. Sake also tenderizes meat. It works great for fish or meat marinades. You can buy cooking sake (ryorishu), but it has salt added to it. I like to cook with a cheap drinking sake like Ozeki – it gives you a much better flavor. Mirin is another all-star ingredient. It’s often used with sake in many traditional dishes. Mirin has more sugar and a lower alcohol content than sake. It adds a sweet flavor to your food. 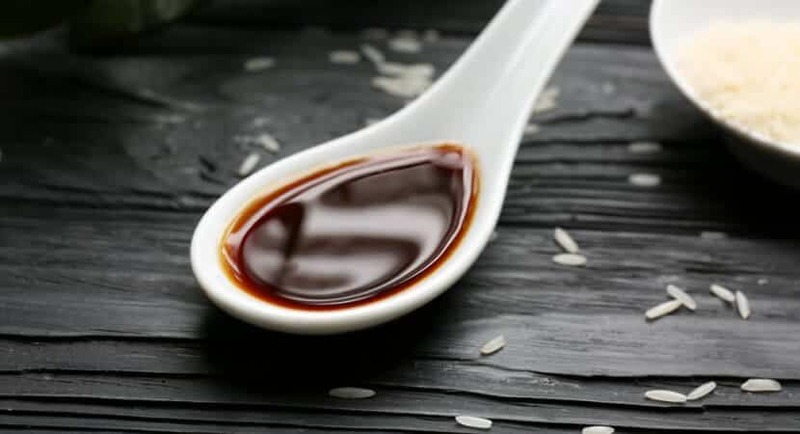 Have you ever tasted authentic teriyaki sauce in a Japanese restaurant? The sweetness comes from mirin. The sugar in mirin gives a nice glaze to meat and vegetables. Like sake, mirin helps to reduce fishy smells. If you’re looking for a quality mirin at a good price, it’s hard to beat the Kikkoman aji mirin brand. Japanese rice vinegar tastes very different from the vinegar used in Western cooking. It’s mild and sweet. Japanese vinegar gets made from fermented rice or rice wine. It’s widely used in Japanese cuisine. 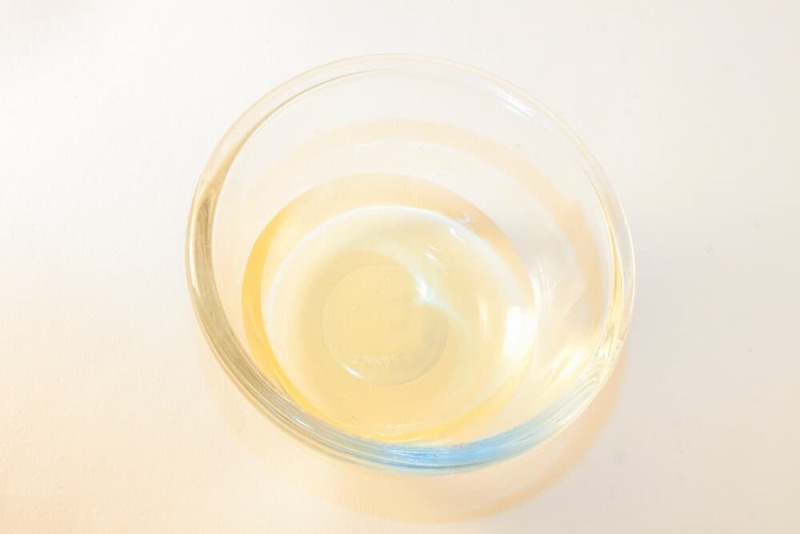 This is rice vinegar, pure and simple. Nothing gets added. A good brand to buy is Marukan, which you can find on Amazon. 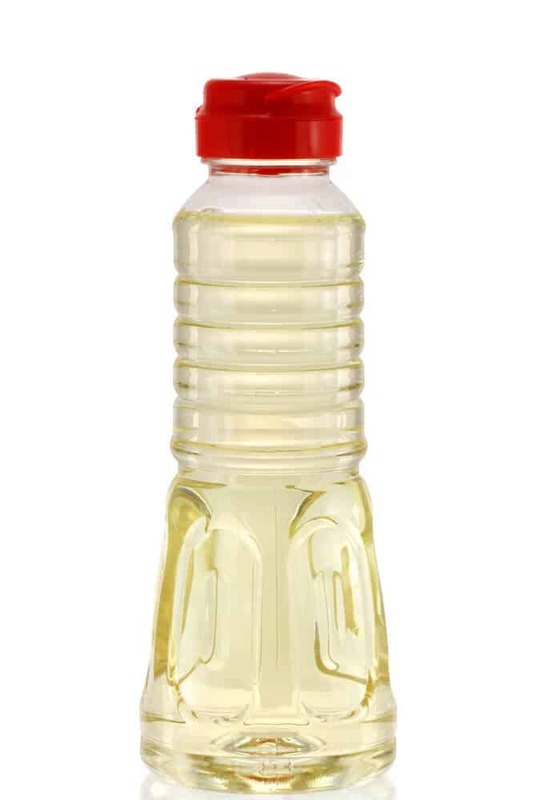 Seasoned rice vinegar combines fermented rice, water, sugar, and salt. You might hear it called sushi-zu in Japanese. It mainly gets used to make sushi rice. The Japanese love rice vinegar for its flavor. Rice vinegar also gives you tons of health benefits. The Marukan seasoned rice vinegar is a cheap but good product to use for cooking Japanese food. Rice vinegar can help you to lose weight. It can give you clearer skin. It’s can be good for your heart. You may get sick less often and recover quicker if you do get sick. It can improve your digestive health. You might be in for a big surprise when you try Japanese mayonnaise. Japanese mayo shares some of the same ingredients as the American version… but it has some major differences as well. Japanese mayo uses egg yolks (as opposed to whole eggs). It also uses apple or rice vinegar. It’s made without water – unlike American mayonnaise. This gives the mayo a thicker, richer texture. Japanese mayo tastes sweet, with a bit of tang. You also usually get some umami… in the form of MSG, unfortunately. Some people love Japanese mayo to the point of obsession. I’ve never heard of anyone obsessing over American mayonnaise. I know many, many people who like to eat Japanese mayonnaise straight out of the tube! Japanese mayo tastes great on all kinds of dishes. It adds a creamy, rich taste you won’t find anywhere else. The best, and by far the most popular Japanese mayonnaise is Kewpie Mayonnaise . Try it out. I’m sure you’ll fall in love with it too! Ponzu is a citrus-based sauce used in many different dishes. It’s kind of like a Japanese vinaigrette. The refreshing, tart flavor comes from citrus fruit juices (like sudachi, yuzu, lemon, or kabosu). The juices get mixed with rice vinegar, along with other ingredients such as mirin and dashi. 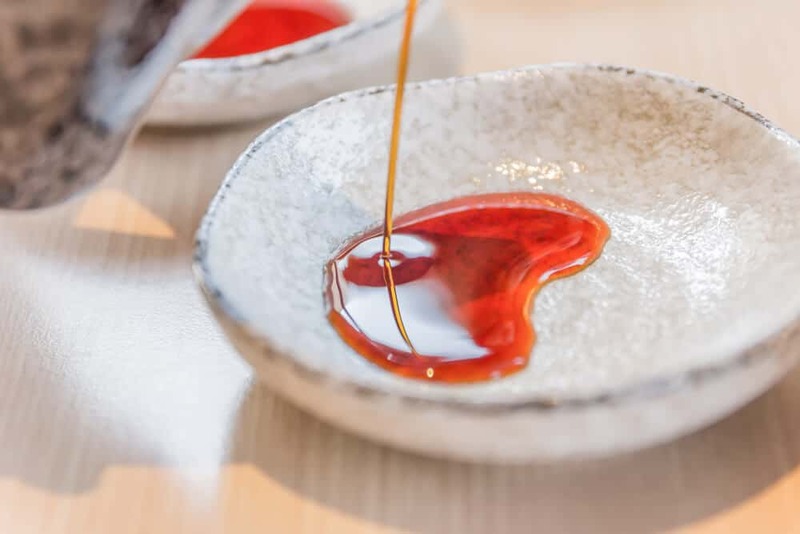 Try the Mitsukan Ajipon for an authentic ponzu sauce from Japan. 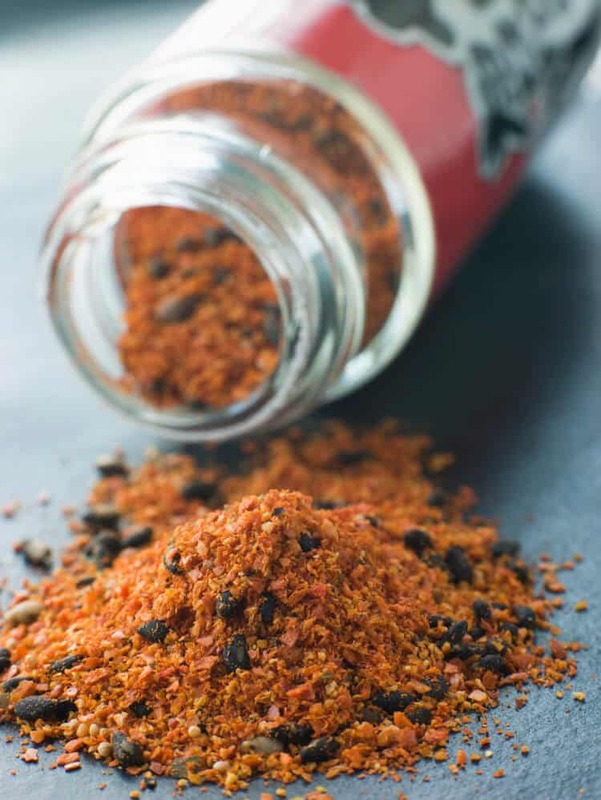 If you’re a red pepper flakes fan, you’ll like shichimi. It’s also known as the “seven flavor chili pepper” spice mixture. You usually find a small bottle of shichimi on udon restaurant tables. Many people love to add it to noodle soups. 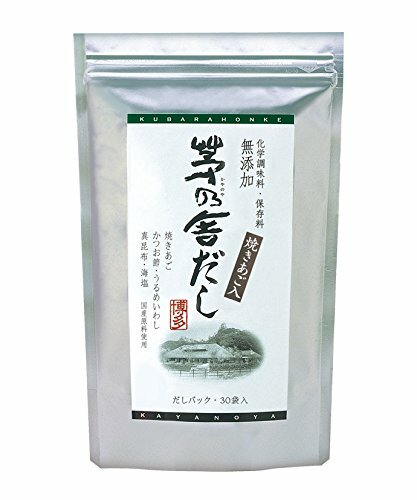 The House Shichimi Togarashi brand offers high quality at a cheap price. *Don’t confuse shichimi with ichimi. Ichimi contains just one ingredient: ground red chili pepper. I’m a Kansai girl… so okonomiyaki sauce had to make it onto this list! Okonomiyaki sauce is thick, brown, and sweet. 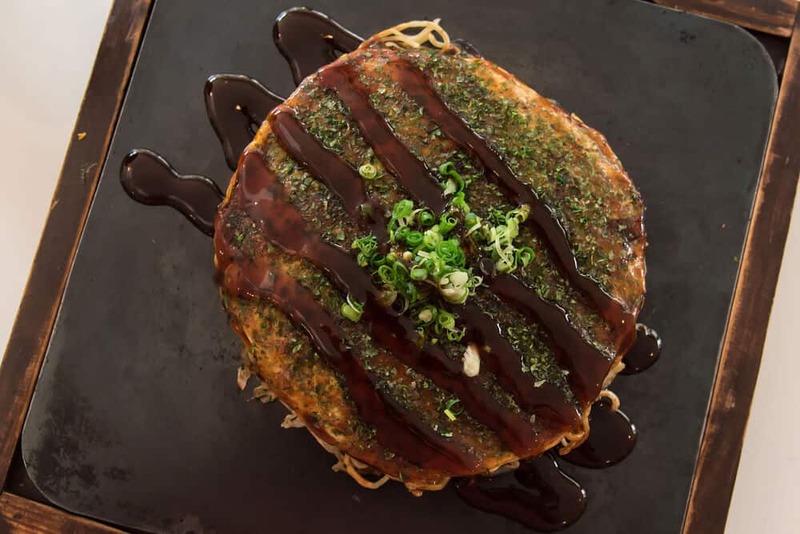 It tastes delicious on lots of things, but especially on okonomiyaki (Japanese cabbage pancakes). You typically use it with mayo, aonori (green laver), and katsuobushi (dried bonito flakes). No okonomiyaki is complete without it. The hugely popular Otafuku okonomiyaki sauce is not only loved by Japanese people, but has started to win fans from all over the world. Your food transforms before your eyes with a little soy sauce, sake, or miso. Seasoning makes your food come alive. It goes from ordinary and bland to tasty and complex. But the best part about Japanese seasonings… they don’t try to mask the other flavors! They’re subtle and delicate. They work hard to bring out the wonderful flavors of your dishes’ main ingredients. Add these ten seasonings to your pantry. You can make amazing Japanese food at home, just like you’ve always wanted. Your family and friends will thank you! What’s Your Favorite Japanese Seasoning? Have you tried any of the seasonings in the article? If so, what did you think? Did we miss any we should have covered? Let us know in the comments! Don’t forget to share this article with your foodie friends. You can have a ball trying different sauces together! Born and raised in Japan, Kanna now lives in Richmond, California. She chases two toddlers around by day, and is a professional writer by night. She loves sharing her personal experiences of growing up half Japanese - both the good and the bad. She dreams of her next trip home to see her family, eat amazing food, and enjoy excellent customer service, all of which she misses dearly.